Abstract. Meteorological normalisation is a technique which accounts for changes in meteorology over time in an air quality time series. Controlling for such changes helps support robust trend analysis because there is more certainty that the observed trends are due to changes in emissions or chemistry, not changes in meteorology. 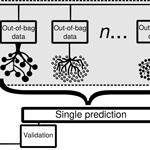 Predictive random forest models (RF; a decision tree machine learning technique) were grown for 31 air quality monitoring sites in Switzerland using surface meteorological, synoptic scale, boundary layer height, and time variables to explain daily PM10 concentrations. The RF models were used to calculate meteorologically normalised trends which were formally tested and evaluated using the Theil–Sen estimator. Between 1997 and 2016, significantly decreasing normalised PM10 trends ranged between −0.09 and −1.16µgm−3yr−1 with urban traffic sites experiencing the greatest mean decrease in PM10 concentrations at −0.77µgm−3yr−1. Similar magnitudes have been reported for normalised PM10 trends for earlier time periods in Switzerland which indicates PM10 concentrations are continuing to decrease at similar rates as in the past. The ability for RF models to be interpreted was leveraged using partial dependence plots to explain the observed trends and relevant physical and chemical processes influencing PM10 concentrations. Notably, two regimes were suggested by the models which cause elevated PM10 concentrations in Switzerland: one related to poor dispersion conditions and a second resulting from high rates of secondary PM generation in deep, photochemically active boundary layers. The RF meteorological normalisation process was found to be robust, user friendly and simple to implement, and readily interpretable which suggests the technique could be useful in many air quality exploratory data analysis situations. How to cite: Grange, S. K., Carslaw, D. C., Lewis, A. C., Boleti, E., and Hueglin, C.: Random forest meteorological normalisation models for Swiss PM10 trend analysis, Atmos. Chem. Phys., 18, 6223-6239, https://doi.org/10.5194/acp-18-6223-2018, 2018. Weather (meteorology) has a strong effect on air quality; if not accounted for, there is uncertainty surrounding what drives features in air quality time series. 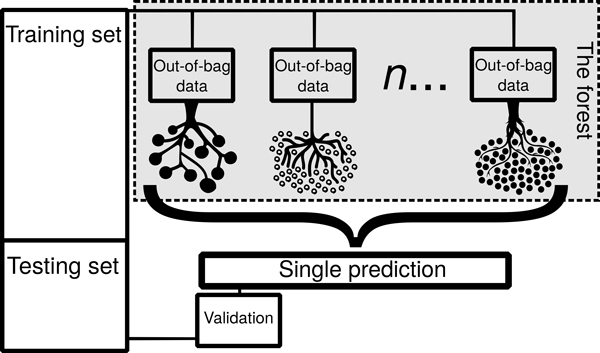 We present a machine learning approach to account for meteorology using PM10 data in Switzerland. With the exception of one site, all Swiss normalised PM10 trends were found to significantly decrease, which validates air quality management efforts. The machine learning models were interpreted to investigate interesting processes.